A Royal Night Out Movie Trailer post has been sponsored, but all opinions are my own. As the mother of two teenagers, I have learned a few key things about them. Teenagers know everything about every subject known to man and YOU, my dear parent, are rarely right. They want to experience life to it’s fullest but don’t quite have the best judgment to deal with everything life throws at them. These traits are not unique to my own teenagers. Teens from the beginning of time have been itching to explore the world, grab life by the horns and live every day to it’s fullest! As you will see in A Royal Night Out Movie Trailer below, these traits extend to royal teens in the 1940s as well my own kids. A Royal Night out is based on the factual knowledge that Princesses Elizabeth and Margaret left Buckingham Palace on V.E. Day in 1945 to celebrate in the revelry of Europe’s victory after World War II. As peace extends across Europe, Princesses Elizabeth and Margaret are allowed out to join the celebrations. It is a night full of excitement, danger and the first flutters of romance. A Royal Night Out is an affectionate ‘what-if’ story about the adventures Elizabeth and Margaret might have had on the joyous night that brought the whole of London together. Purchase Tickets: You can purchase tickets for A Royal Night Out. It will be in the theater on Friday December 4th, 2015. 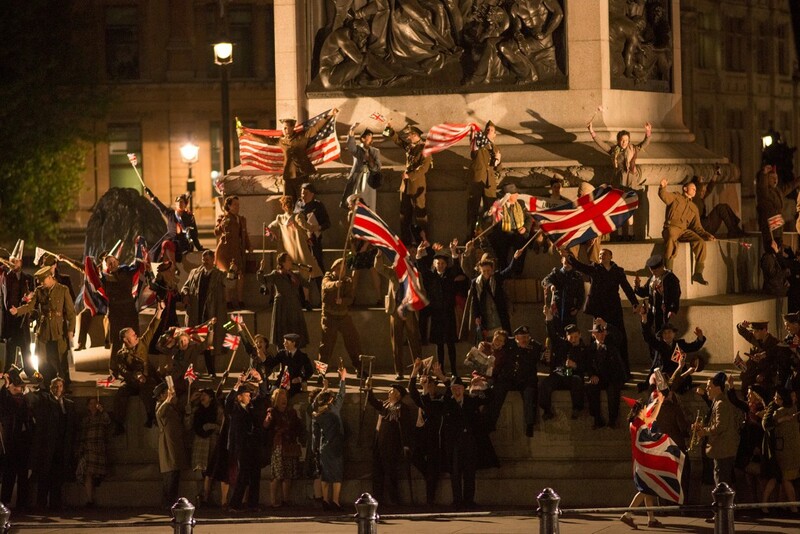 More about the movie: Princesses Elizabeth and Margaret are allowed to join the celebrations, against the Queen’s wishes. 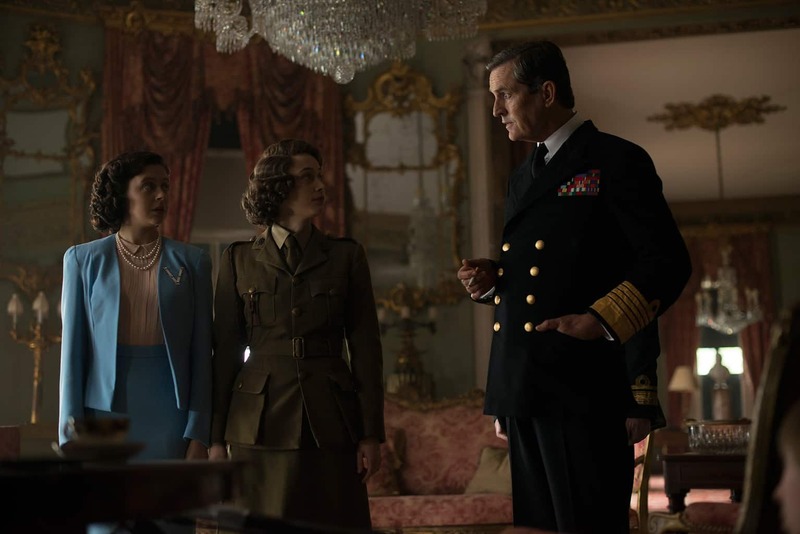 The King, impressed by Elizabeth’s pleading, asks her to report back on the people’s feelings towards him and his midnight speech on the radio. Each girl, incognito, is given a chaperone of an army officer, and an itinerary. Of course, they soon realize that the schedule and supervision are seriously getting in the way of fun and they slip away from their chaperones to explore on their own. Of course, what happens to these pretty teenage girls when they go off to explore? They garner the attention of attractive young men! The Princesses are separated during the evening on two different buses, and Margaret is befriended by a Naval Officer seeking to take advantage of what he believes is just an ordinary girl. 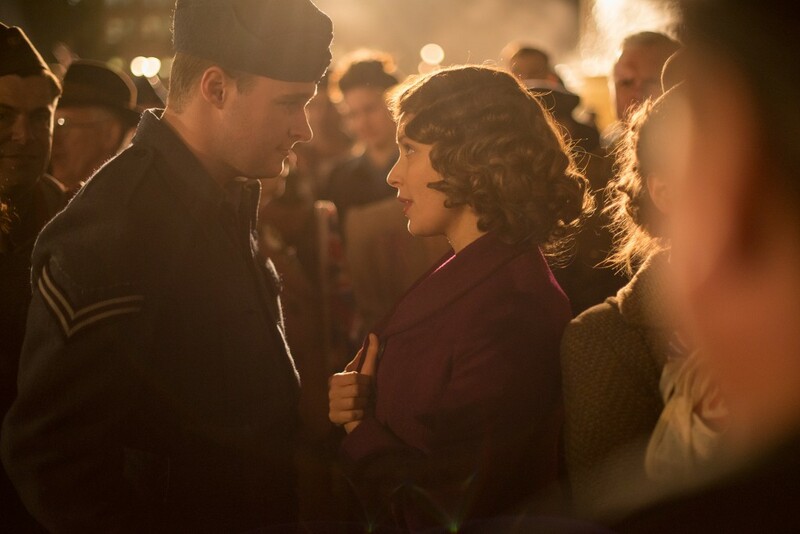 Elizabeth has her own hands full with an airman who is absent without leave. Margaret is led by her Naval Officer into a world of nightclubs, gambling, spiked drinks and brothels. Elizabeth and her airman have their own adventures trying to catch up with Margaret, which take them far beyond the 1 AM deadline into the early hours of the following morning. You can imagine how unpleased the adults are with the absentee teens! Isn’t it just teenagers to try our patience by skipping curfew? 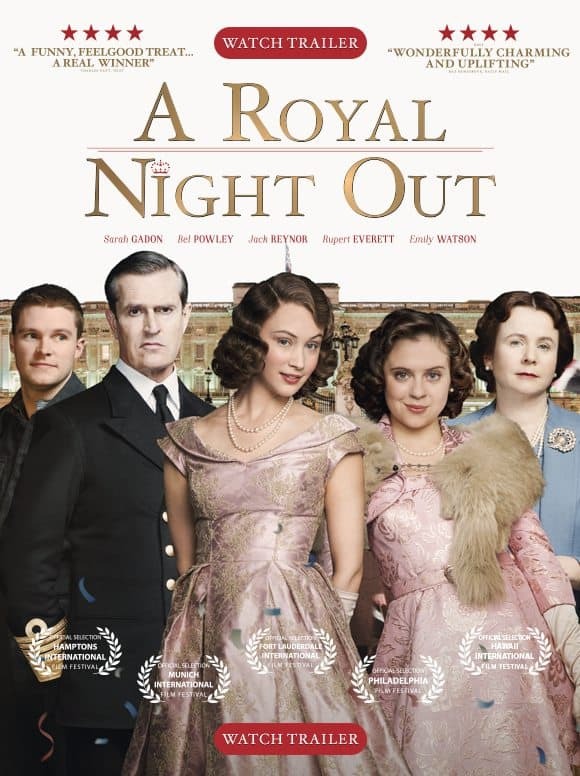 A Royal Night Out was released in the United Kingdom on 8 May 2015 and on DVD on 7 September 2015. It hits theaters here in the US on December 4th, 2015. In real life, Elizabeth and Margaret went out in a group of 16 including their nanny, several friends their own age and military protection and returned to Buckingham palace at 1 AM. But in A Royal Night Out, they get to have a tad bit more fun. The girls gamble in Soho, sip champagne at the Ritz, dance at Chelsea Barracks, and get a taste of romance. The movie version sounds a lot more fun, right? Watch the A Royal Night Out movie trailer below for a sneak peak! Follow on Facebook for more updates!